So far this Year 186 homes have Sold in Gordon Head and Lambrick Park since January 1, 2015. I created an easy to use (Go Here) >Gordon Head Current Market Analysis page to help Gordon Head & Lambrick Park Home owners search online to find out what their homes are worth today. This Easy to use Search tool includes all types of Gordon Head and Lambrick Park Real Estate i.e Homes, Condos Strata Duplex's and Townhouses currently for sale. See below an example of the page you'll see when you search online to find out what your home is worth now with my Current Market Analysis program. IMPORTANT. In order for my automated CMA program to give you a Current Market Analysis of your home you'll need to give your accurate home street address, and your complete contact information to receive my Current Market Analysis, i.e. By Telephone, email or regular Mail. Yes I will need to see inside your home.There is no obligation for my complimentary CMA of your Gordon Head or Lambrick Park residence. 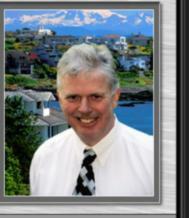 Find our more about what's going on with Gordon Head real estate Goggle Fred Carver Gordon Head. Looking for a home in Gordon Head or Lambrick Park? Currently there are only 15 Homes For Sale. Here's an example below of my map search tool you'll see by going here> to find a current list of Gordon Head and Lambrick Park homes available, COME BACK OFTEN as new Gordon Head and Lambrick Park listings are posted regularly. GORDON HEAD & LAMBRICK PARK REAL ESTATE IS IN DEMAND. LIST OF VICTORIA HOMES AVAILABLE TO MOVE INTO FOR THANKSGIVING!